A second series of Paul Abbott's Channel 4 drama No Offence is in the pipeline, the show's executive producer has confirmed. 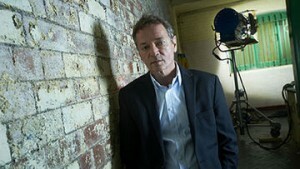 Abbott Vision's Martin Carr said it was always hoped that the series would have the longevity of Abbott's previous drama for the channel, Shameless, which ran for 11 series. He told Broadcast: "We have always seen it running for a long time and when we plan it out we think about having that in the next season and that in the following." He said a second series would be a “step back, with the serial [killer] story less dominant”, with the intention to have “very busy episodes”. The second episode of the 8 x 60 first series, which is based in Manchester, airs tomorrow night. The launch episode last week was watched by 2.5m.